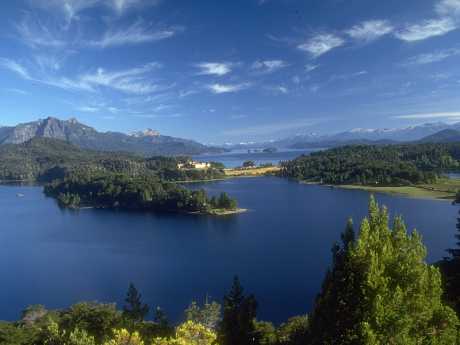 The main types of climate in Argentina are four: warm, moderate, arid and cold. The extension of the territory and the features of its relief determine the existence of varieties in each of the mentioned types. 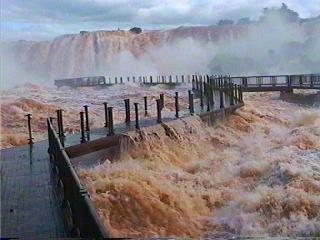 Among the warm climates are the subtropical with no dry season, which comprises the provinces of Misiones and Corrientes, the northern area of Entre Ríos and the eastern section of the Chaco region. Its main features are high temperatures and abundant rainfall the whole year round. The tropical one has a dry season, and it comprises part of Salta, the west of Formosa and Chaco, the eastern plains of Tucumán, nearly the whole of Santiago del Estero and the NW Santa Fe. It is of similar features to the previous one, with a difference in that there is a dry season in the first half of the year. Up NW, the mountainous area that includes the sub–Andean hills, its valleys and gullies, is considered to have tropical highland climate. 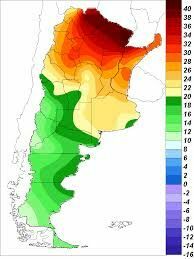 The area of moderate climates includes the province of Buenos Aires, a large area of Entre Rios, centre and south of Santa Fe, the eastern strip of Cordoba and a part to the NE of La Pampa. Among these climates it is the area of the moderate pampeano climate, featuring especially the banks of the Paraná and La Plata rivers. Along the edge bordering the subtropical climate is the moderate variety with no winter season, characterised by the lack of a definite cold period. The moderate climate, with an ocean influence, is located in the Buenos Aires Province littoral, in Mar del Plata and Necochea area, where the influence of the sea brings moderate temperature. Mild climate is found in Cordoba hills and their valleys. Finally, there is a transition belt towards the west, where the area of moderate climate derives into a region of arid climate. The arid climates are in high plateau called La Puna, Catamarca's Andes, La Rioja and San Juan, the neighbouring pre–andean area and Patagonia extra–andean. Among their main varieties there is the arid mountain climate, in the high plateau and the Andes, from Catamarca down to Mendoza. To the east of the arid Andes there is the arid climate of the hills and fields, which roughly involves the area of the Pampas hills. The arid steppe climate stretches down to the south of the region of hills and plains; to the west it ends at the foot of the mountain chain and loses its aridity in the south of Mendoza; to the east it borders the transition belt and to the south, between 40º and 42º south parallels, the transformation of the thermal system derives into another type of climate: the patagonian cold arid climate. Among the cold climates is the humid strip of the Patagonian Andes, characterised by a progression of rains that occur N to S – from 34º S– in this cordilleran sector. The arid–windy climate in Patagonia is characterised by its low temperatures, with scanty rainfall and, in winter, strong snow storms. The humid–austral climate includes a strip of Santa Cruz province, at the south of the previous zone, and the province of Tierra del Fuego, except for the snowy climate of the high mountains; rainfalls are heavier and there is no summer period of moderate temperatures, common in the Patagonian plateau. The snowy climate is of glacial type and includes the strip of austral cordillera, in the zone of continental ice of Santa Cruz and in glaciers spots in the high Patagonian mountain chain. With regard to the austral islands climate, Isla de los Estados has an oceanic cold climate. The weather is misty and cold most of the year and storms are frequent. Snowy rainfall abounds. On Malvinas Islands the oceanic type is more defined. There are no temperature peaks; summer is scarcely moderate and winter is not very cold. In Islas Orcadas there is a snowy climate; almost the whole surface of the islands is covered by glaciers, and the sea ice only yields access for a few weeks in January. • "The Short San Juan Summer" is the most widely known. The inhabitants of Buenos Aires gave it this name because it reaches the area by June 24, date when San Juan el Bautista was born. This weather rarity, that can last between three and seven days, sometimes goes up to 24ºC, and that is why it is common to see people lying in the sun at city’s squares in the middle of winter. • When the cold season is over, we have the "Santa Rosa Storm", a cycle of heavy and lightning storms that bursts at the beginning of spring and corresponds with that religious figure, on August 30. • On July 9, 2007 the City of Buenos Aires was covered of snow for the second time, according to historical records. The previous snowfall had been in 1918. Today, there have been 23 visitors (98 hits) on this page!